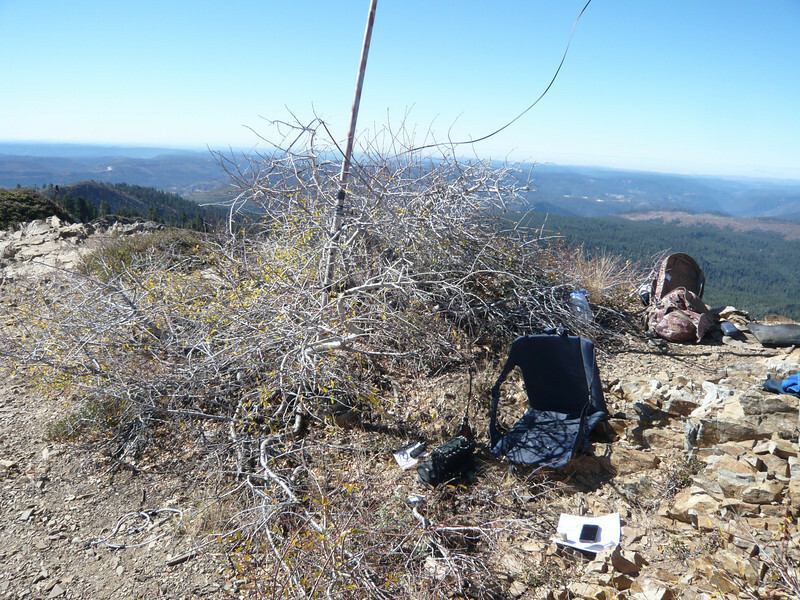 My operating position next to the bush and base of my mast. I was hoping to get a bit of shade from the bush but there wasn't much. By the way, a KX3 plus an 88' doublet is about as good as it gets for portable operations: one quick press of the KX3's ATU button gets you on any band from 6m-80m in seconds, and the antenna is an extended double Zepp on 20m with about 3 dB of gain over a half-wave dipole. Extend the doublet out to 135' and 160m is just as easy.